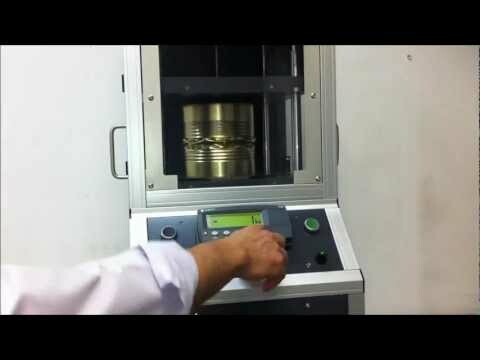 The ALT-100 is Quality By Vision’s latest Axial Load (Crush) Tester for can makers. The ALT-100 quickly, safely and accurately measures a can’s resistance to axial load (crush) force and displays the result in kg or lbs on the built-in display. The gauge can be used stand alone or it can be connected with the supplied cable to Quality By Vision’s Symphony software for reporting and SPC. Numerous safety features such as door sensors and emergency stops as well as regulators for the max force, crush speed and height make the ALT-100 the safest and most easy to use Axial Load testing gauge on the market. Designed from the ground up with can makers in mind and utilizing the most advanced components available, the ALT-100 is the most accurate, safest and easiest to use axial load (crush) tester on the market.